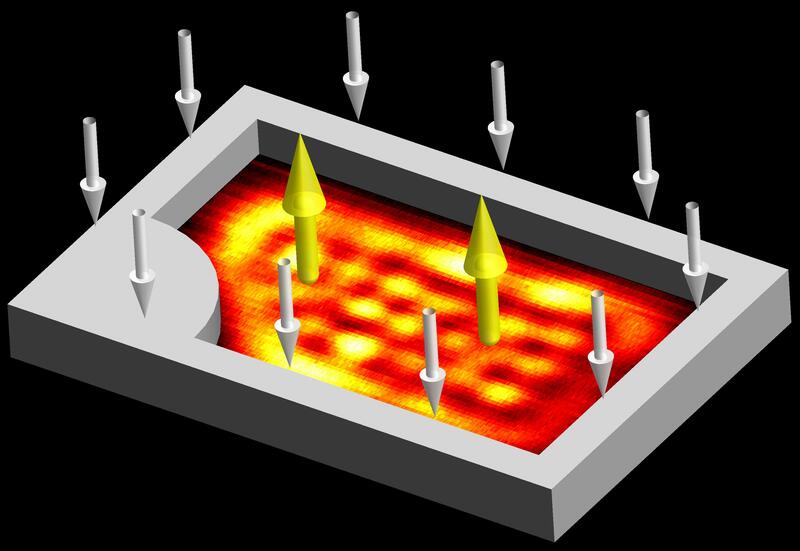 Our research on exciton-polariton Talbot effect demonstrated by loading exciton-polariton condensate into a phase-locked Bloch state of a 1D periodic array of mesa traps appeared in Physical Review Letters today. Congratulations to all involved in this work! We congratulate Eliezer Estrecho on winning the highly competitive RSPE Robert and Helen Crompton Travel Award! This award will support his travel to our collaborators in Japan, Germany, and USA in 2017. Congratulations to Guangyao (Leo) Li on submitting his PhD thesis and to Daniel Comber-Todd on submitting and defending his Honours thesis. These are the first thesis completions in our group. UPDATE: Daniel graduated with H1 (first class Honours) – well done! The seminars will run from 11 am to 12 pm in Le Couter Building Seminar Room (Level 3) on the 23rd, 24th, 25th, and 26th of May, and on the 31st of May. We will post the detailed program on Friday the 20th of May. Watch this space! In addition, Dr. Michael Fraser (RIKEN) and Dr. Tim Liew (NTU) were granted the ARC Discovery International Awards for collaborative visits to the ANU. Our recent research on observation of exceptional points in a quantum exciton-polariton billiard is published as a Letter to Nature! Read the story in the ANU Newsroom and on Phys.org. Congratulations to Eliezer Estrecho, who has won the ANU Vice-Chancellor’s HDR Travel Grant to present his work at FINESS 2015: Finite-Temperature Non-Equilibrium Superfluid Systems Conference in Sopot, Poland (14-18 September). Our group warmly welcomes Matthias Wurdack, a visiting MSc scholar from the Univesrity of Wuerzburg, who is joining our laboratory for six months to gain experience in ultrafast imaging techniques. Terahertz Emission, Metamaterials, and Nanophotonics (Terametanano-4), Lecce, Italy, 27-31 May 2019.